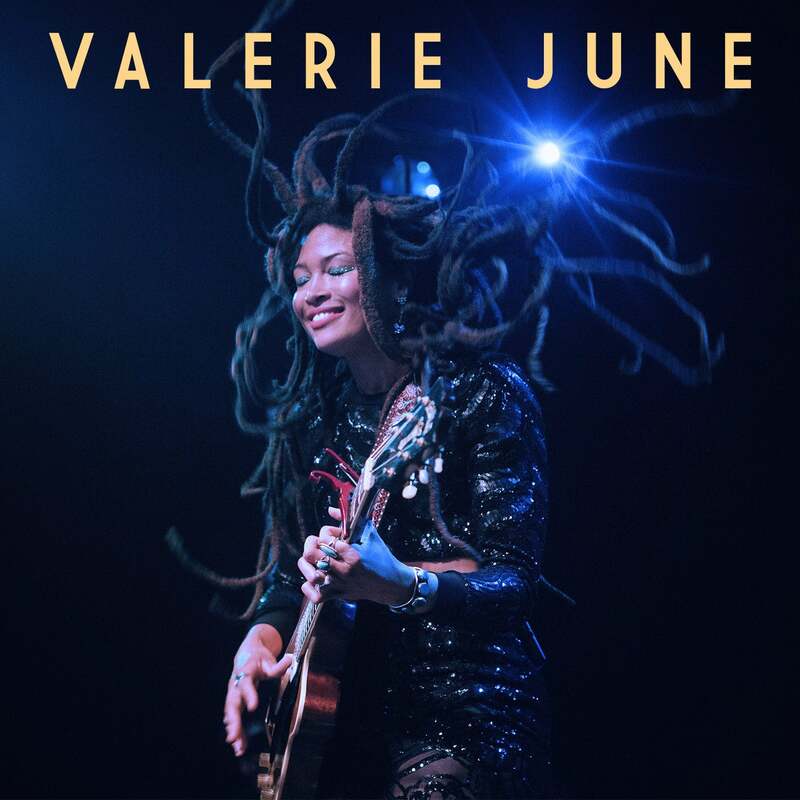 "Understanding the order of time is important to anyone hoping to manifest a dream," says Valerie June. "There is a time to push, and a time to gently tend the garden." Since the release of her 2013 breakout Pushin' Against A Stone, June has been patiently at work in the garden of song, nurturing seedlings with love and care into the lush bloom that is her stunning new album, The Order Of Time. Some songs grew from seeds planted more than a decade ago, others blossomed overnight when she least expected them to, but every track bears the influence of time. In her heart, June is a songwriter first and foremost, willing and able to blur the lines between genres and eras of sounds. The result is an eclectic blend of folk and soul and country and R&B and blues that is undoubtedly the finest work of her career. Opener "Long Lonely Road" settles in like languid southern heat, as June looks back to the sacrifices of her parents and grandparents, singing in a gentle near-whisper of the sometimes difficult, sometimes beautiful journey we all must undertake in search of brighter days. On the soulful "Love You Once Made," her voice is backed by rich horns and vintage organ as she makes peace with the specter of loss and the ephemeral nature of our relationships, while the bluesy juke joint rocker "Shake Down" features backup vocals from her brothers, Jason and Patrick Hockett and father, Emerson Hockett recorded at home in Tennessee, and "Man Done Wrong" centers on a hypnotic banjo riff that's more African than Appalachian. "People shouldn't necessarily think of bluegrass when they see the banjo," explains June. "It was originally an African instrument, and people in America used to play all kinds of banjo: mandolin banjo, ukulele banjo, bass banjo, classical banjo, jazz banjo, there were even banjo orchestras. For some reason people like to limit it and say it just has to be in folk and bluegrass, but to me it can be in anything, and I really wanted to set the banjo free on this record." The banjo turns up again later as the underpinning of the R&B rave-up "Got Soul," which plays out like a mission statement for the entire album, as June offers to "sing a country tune" or "play the blues" but reveals that underneath it all is her sweet soul. Those genre terms might be simplistic ways to attempt to define her, empty signifiers creating distinctions between sounds where June sees none. "With You" channels the sprightly, ethereal beauty of Nico with fingerpicked electric guitar and cinematic strings, "Slip Slide On By" grooves with shades of Van Morrison, and "If And" slowly builds over meditative hum that hints at John Cale. Despite the music's varied nature, the songs all belong to a cohesive family, in part because they're tied together by June's one-of-a-kind voice, and because they're all pieces of a larger rumination on the passage of time and how it affects us. The ultimate takeaway from tracks like "The Front Door" and "Just In Time" is that the present is all we have. Everything around us (our loved ones, our youth, our beauty) will someday fade and disappear, but that transience is what makes those things all the more magical. We're given this brief moment to share our love and light with the world, and when, as June sings on the album, "Time's hands turn and point straight towards you," you'd better be ready. Thankfully for us, June was ready when time told her to harvest these songs. In the garden, as in life, there is a time for everything and the moment has finally arrived to enjoy the fruits of all her labor. With The Order Of Time, Valerie June has prepared a bountiful feast, and there's a seat at the table for everyone.